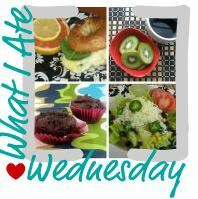 What I Ate Wednesday is my visual food journal for one day in my life as Sugar-Free Mom. Good Wednesday Morning to you friends! I hope this morning finds you well and happy to take on this day with joy! 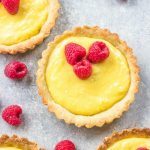 I’m sharing my eats for one day last week in the midst of holiday baking and all! 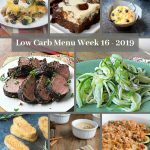 I’ve been finding it a challenge to make and bake all I want to healthfully and successfully and providing it here on my blog, but I’m doing it one day at a time. When I began thinking about my mission here on my blog and more importantly in my life as a mother, wife and woman, I thought I’d share those very thoughts with you today. Maybe you’re new around here and just simply starting to lead a sugar-free way of life. I’m here to share with you what I do and why I do it. 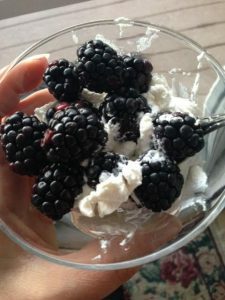 For starters you can read more about my early battles with food and sugar here in my personal story, but I shall start at the beginning on this blog in October of 2011. After I conquered my cravings for sugar and really starting working on recipes at home that helped me and my family, this passion grew. Receiving emails from friends needing/wanting recipes was really how it all began and my youngest brother mentioned a blog to collect recipes in one place for others to come which would release me from messaging each friend. Viola! On October 21, 2011 Sugar-Free Mom was born. What is my mission as a mother? I want my children to not experience the struggle I had with sugar cravings. I want them to be able to enjoy foods in moderation without overeating on sugary junk food. 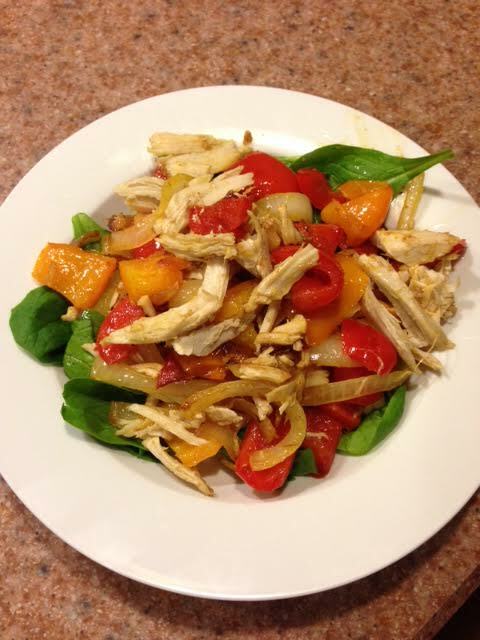 I make them meals and snacks without refined sugars. I make desserts for them that use only natural sweeteners such as fruits, honey, molasses and coconut sugar. I feel the less refined products such as those provide more benefits retaining their nutrients then highly refined and already added products with sugar in the mix. I try to make as much as I can at home. It’s also something I HAVE to do as my youngest has a tree nut allergy and my oldest has a soy and peanut allergy. I can not use almond flour in recipes because of this. My earlier recipes contain whole wheat flours simply because my children do not need to be gluten free and I believe whole grains are good for them. 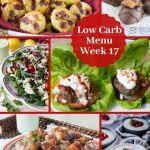 What is my mission as a woman trying to maintain weight loss, lead a sugar-free life and share recipes on this blog? I hope this clears up some questions you may have had while browsing recipes on the Recipe Index. Banana bread muffin, (gluten free and low fat) just one and coffee of course! I made chicken and veggies quesadilla’s for the family but topped mine over some fresh baby spinach instead. Fresh Blackberries with homemade dairy free whipped cream! 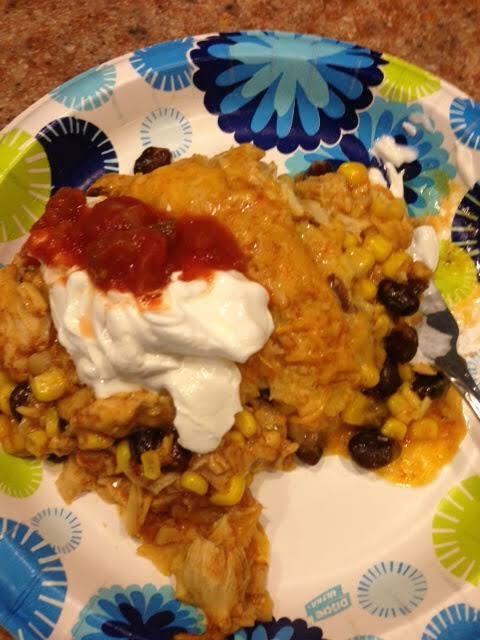 I had left over chicken and decided to make my Easy Chicken Enchilada Bake because I was busy baking all day for Christmas! Throw it all together and bake, done and ready in 30 minutes! These are a picture of my almost finished Peanut Butter Cups, I just had to top with more chocolate and then let them harden. Only made 12 and it was a good thing as I ate 2 before I froze them. Sugar and Gluten Free! That’s all for this week !! What are you making for Christmas? 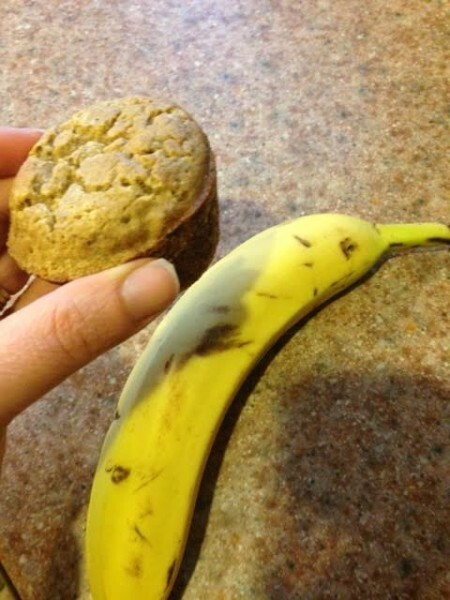 Are you trying to bake healthier or just making traditional things and not worrying about it? Thank you for posting this! 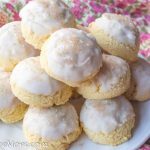 I am trying to conquer my own sugar cravings, and I would love to find good recipes for my boys, because they both crave sugar. I will definitely be trying out more of your recipes. I have been enjoying the peanut butter cups! 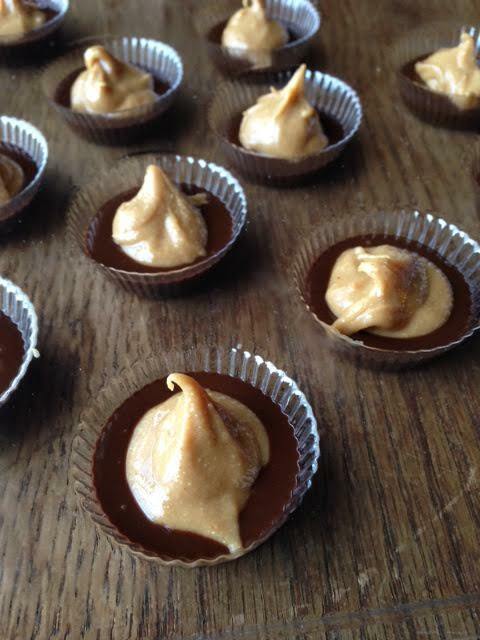 Thanks for sharing and glad you like the recipe for the pb cups!